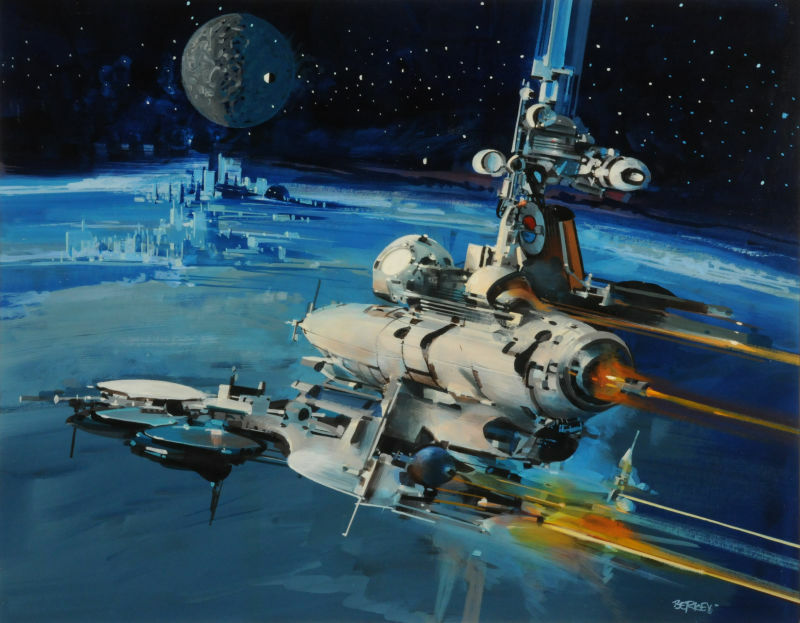 John Conrad Berkey (1932-2008) was an artist known for his space and sci-fi-themed works. 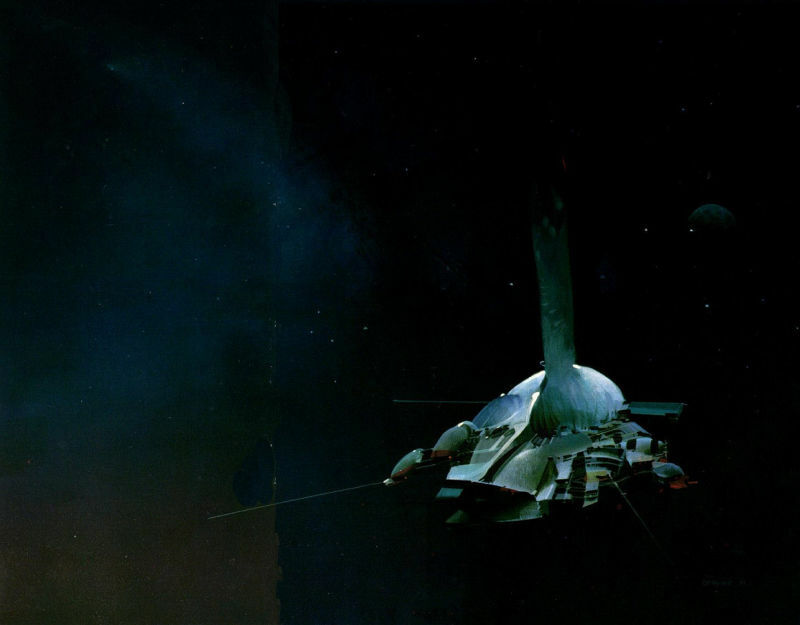 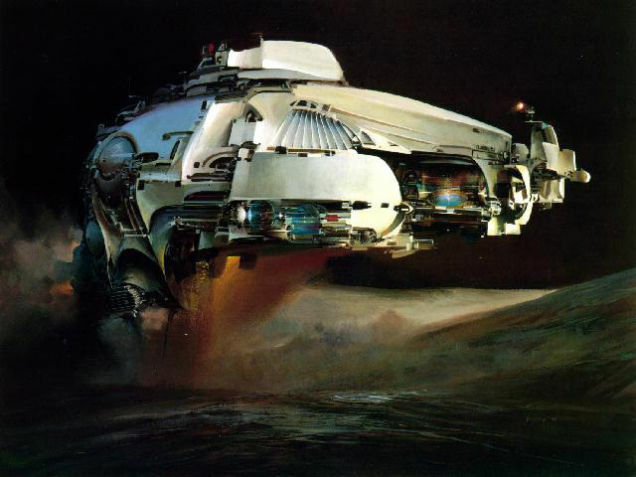 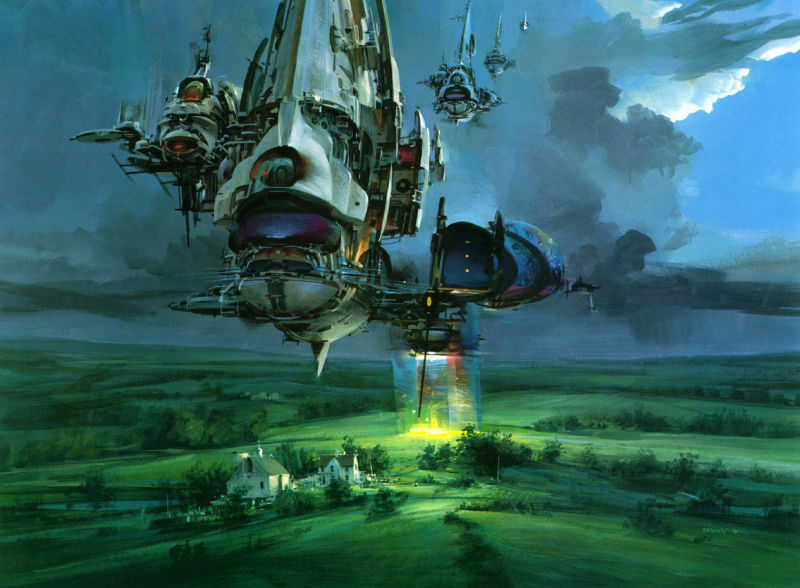 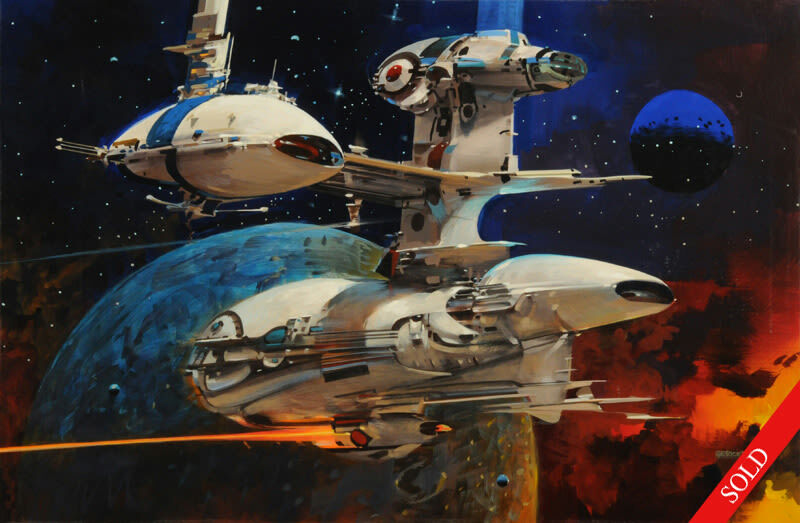 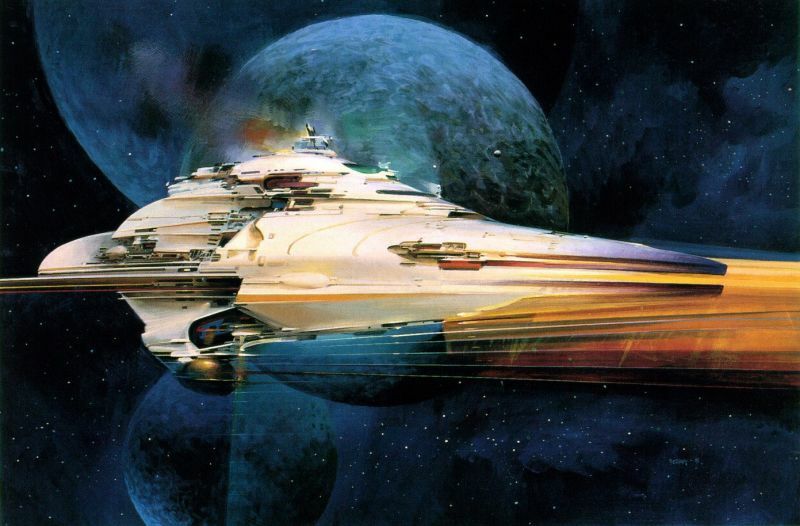 He is one of the classic painters of the golden era of science fiction, along with the art of Chris Foss, Ralph McQuarrie, Harry Lange and Robert Mccall. 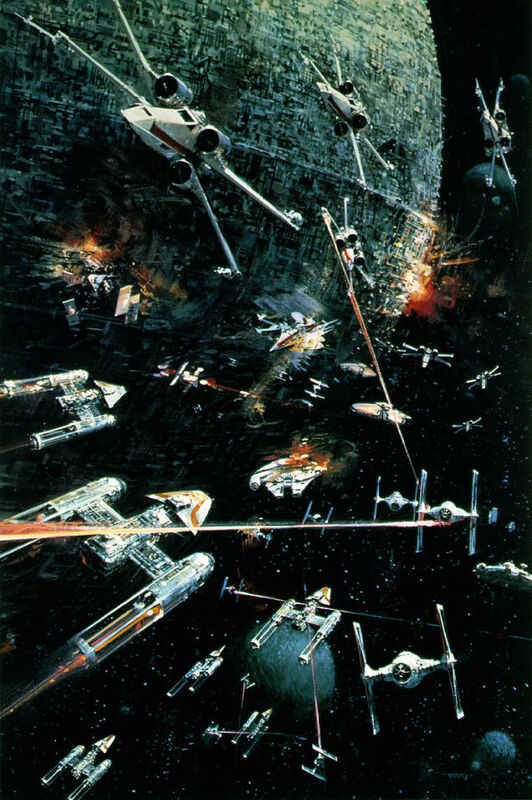 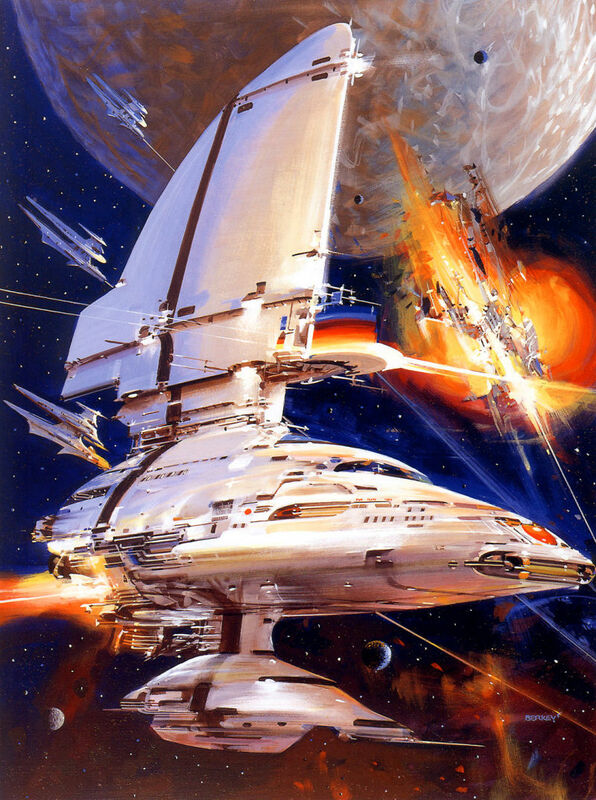 John did some of the original Star Wars posters, science fiction and space exploration illustrations for NASA and hundreds of books. 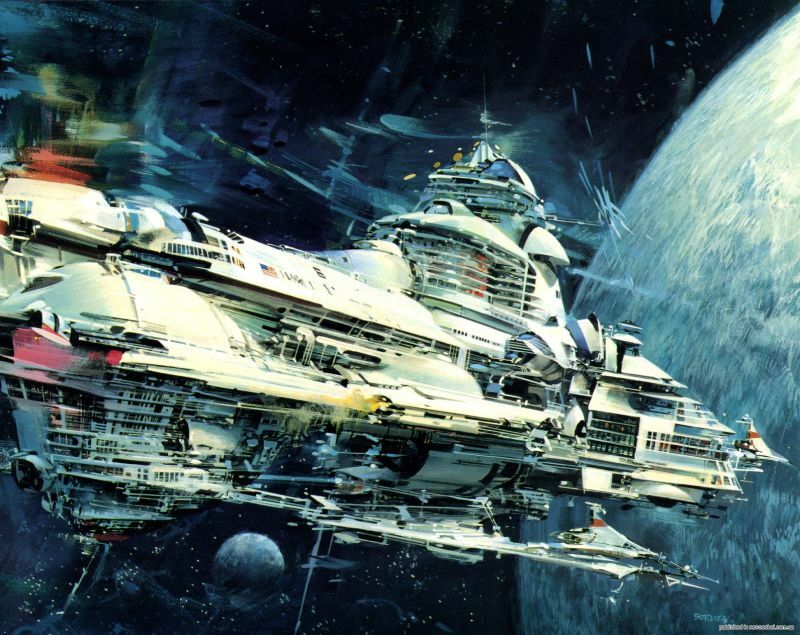 His art features a wide assortment of gigantic deep space starships, fantastic spaceships, space stations, and wonderfully creative alien worlds. 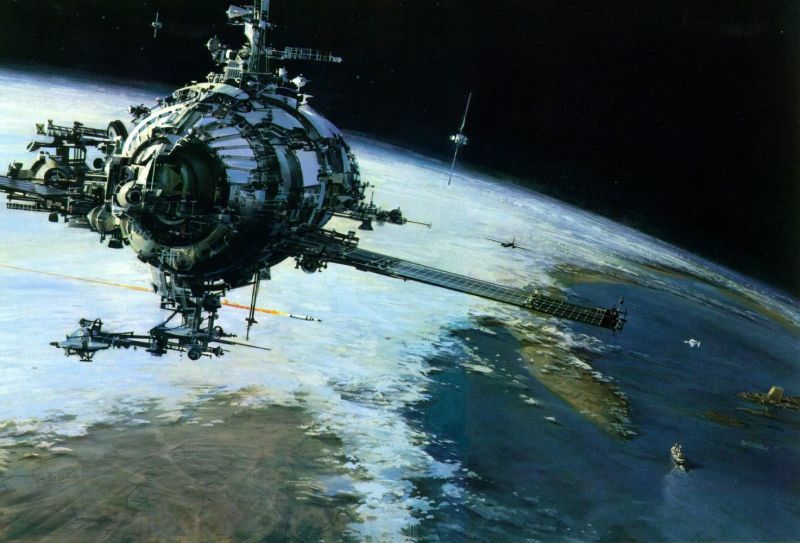 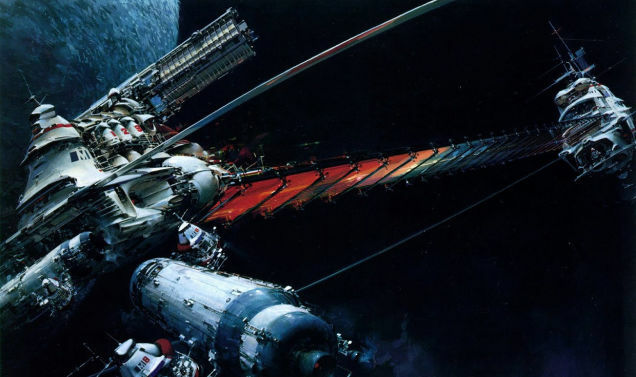 John’s futuristic space images certainly helped define the look of modern, hi-tech spacecraft. 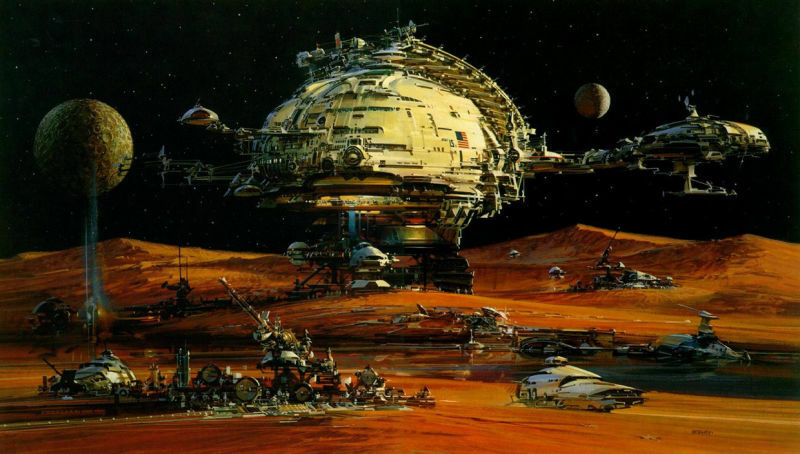 He pioneered the design of what we now accept as modern space design. 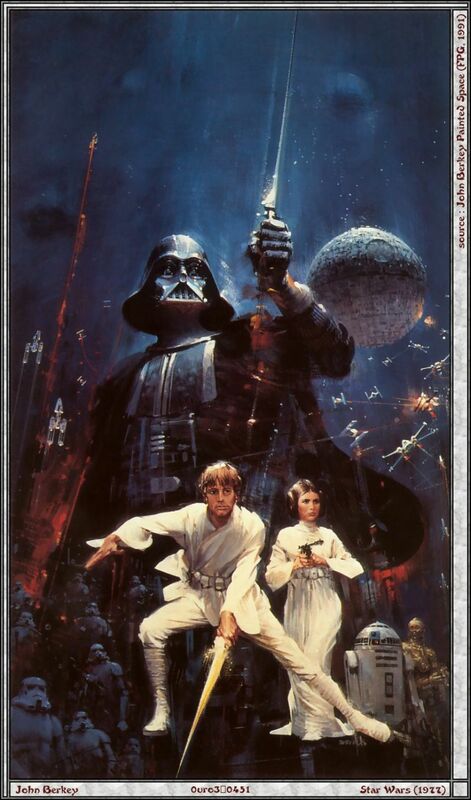 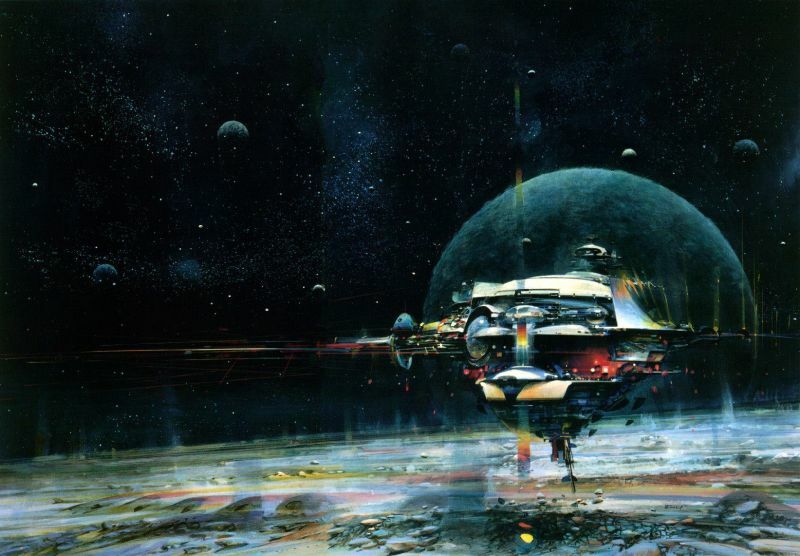 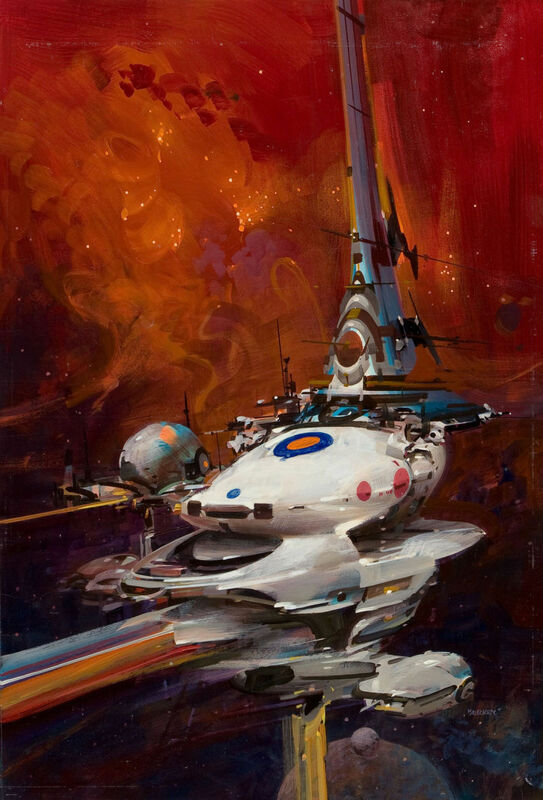 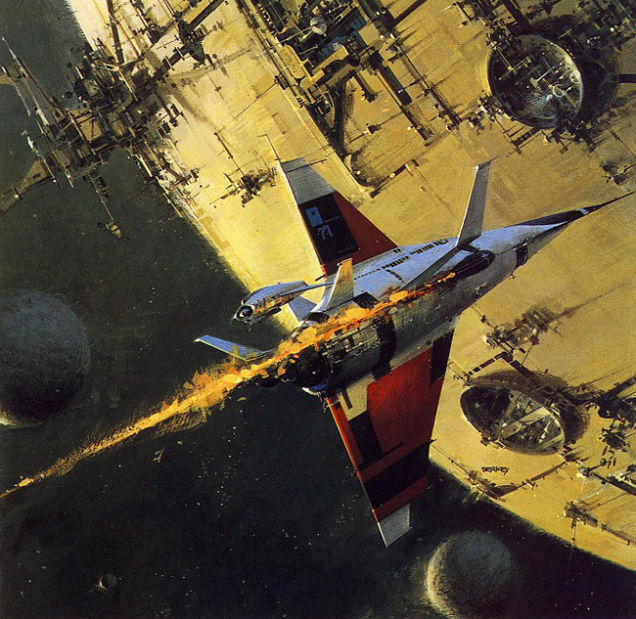 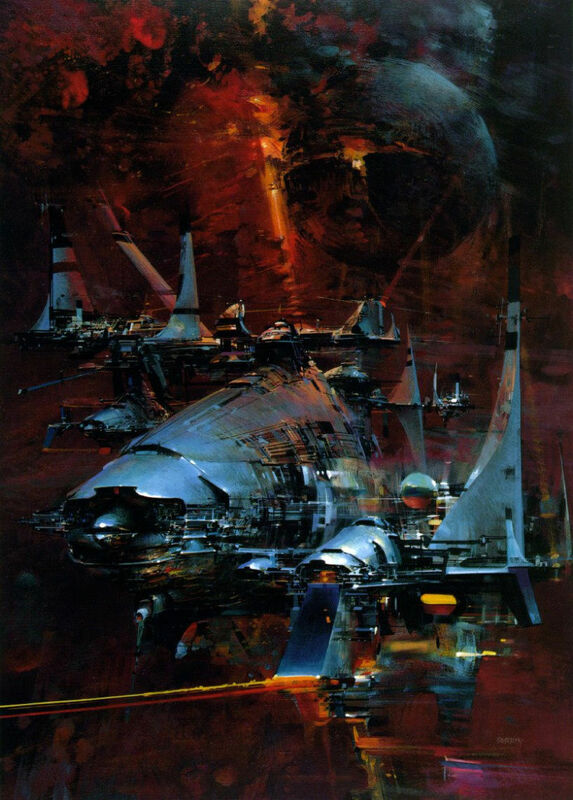 The Art of John Berkey Jane Frank examines all aspects of Berkey’s work, with more than 100 color illustrations drawn from all periods of his career-including personal illustrations painted for his own artistic satisfaction. 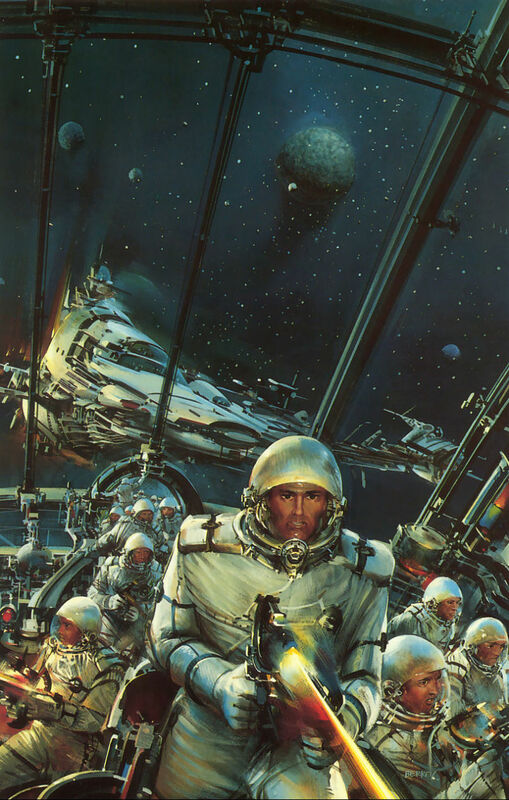 Berkey himself contributes an autobiographical introduction. 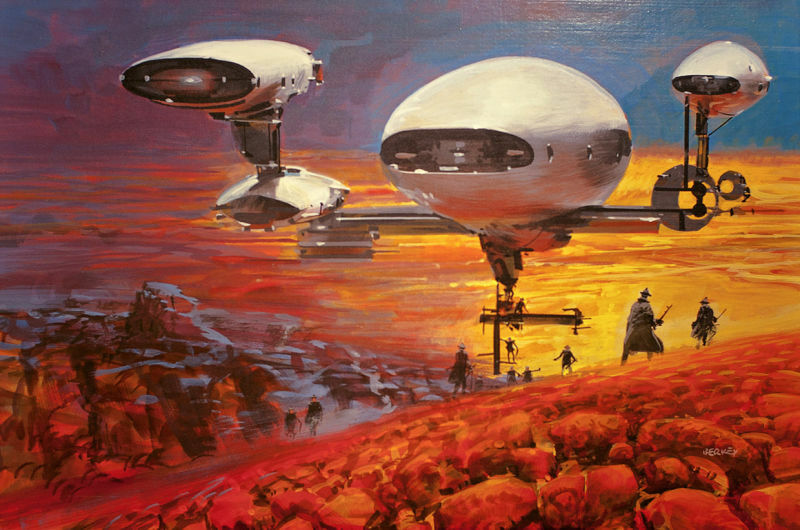 “His wonderfully facile style is the perfect balance between painterly impressionism and hard-edged realism”. 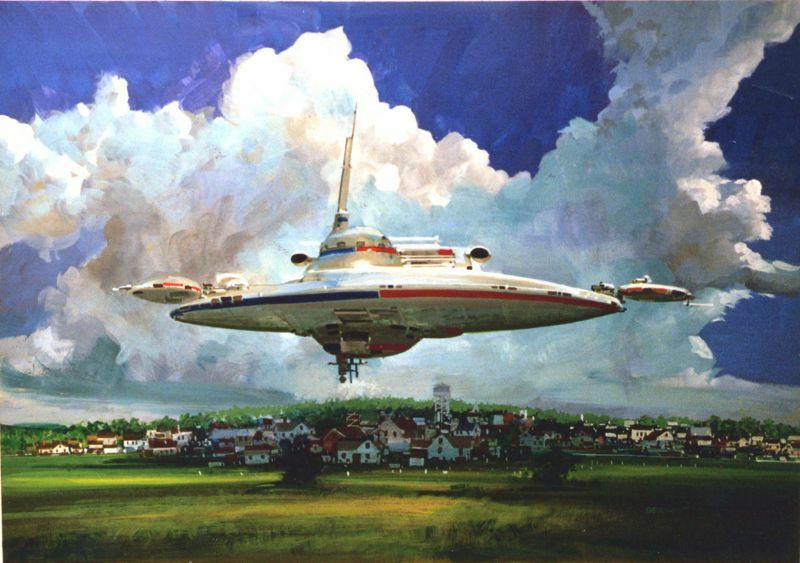 You can buy his art here.